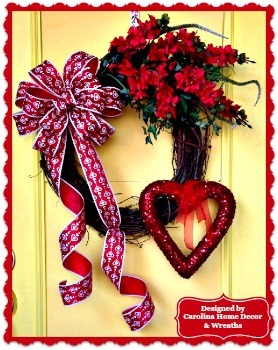 Beautiful "Heart Strings" Valentine Wreath. 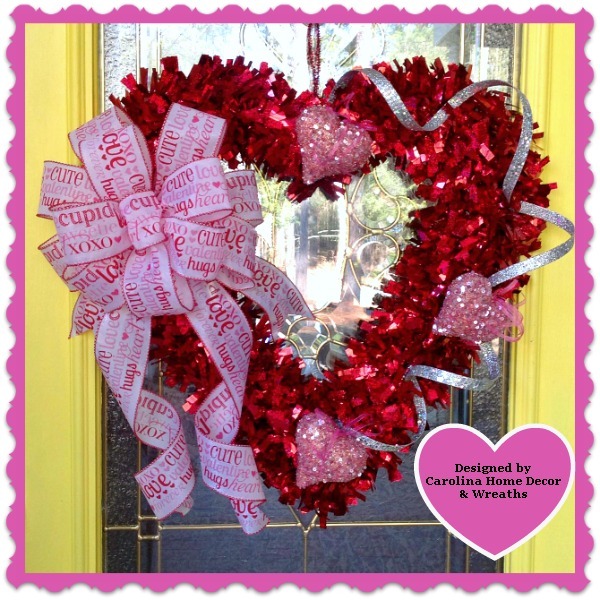 Built on a Red Heart-Shaped Glittering Form featuring a handmade Valentine's Day Bow with Tails. 3 Pink Sequined Hearts are linked together with Silver Iridescent Decorative Ribbon Tape. Measures 24" at its widest & longest points, not counting bow tails. Absolutely stunning in the light. Sprayed with Protectant.